Heavy smokers know the hassle of trying to freshen their rooms with fragrances and air filters that won’t work. On the other hand, most air purifiers are also not designed to clean out smoke, which is a big disappointment to the millions of smokers out there. Due to this, smokers often have no better choice other than to ignore the effects of smoking on their loved ones or to their homes until they find that one good air purifier that can clean out smoke completely well. To quit smoking is certainly the best solution to avoid the effects of smoke, but it is not a fast process, unfortunately, which means that you should at least have the best air purifier for cigarette smoke in the meantime. There are several models and devices you to choose from, but here are five of the most reputable air purifiers for cigar and cigarette smoke. Capacity: up to 815 sq. ft.
10 How Will a Smoker Benefit From an Air Purifier? 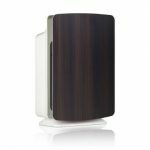 Branded as one of the most powerful air purifiers for cigarette and cigar owing to its features, the Aeramax 200 is a device that offers great value for money. With its four-stage air filtration mechanism, the device ensures that no dust, dirt or smoke circulates around your house. To people with allergic conditions like asthma, there is no better device to own. 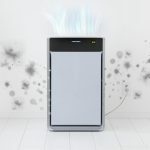 Like all the great air purifiers, Aeramax 200 comes with a pre-filter and an activated carbon filter to help ease the work of the HEPA filter. Actually, most of the dust and smoke particles are trapped before they reach the HEPA filter. The activated carbon filter is especially indispensable in eliminating any form of odor in your house with the utmost efficiency. By the time air reaches the HEPA filter, only the micron-sized dirt and smoke particles are trapped, which makes the device’s overall performance to go as high as 99.97%. With an advanced technology that senses the air quality in your house, you actually don’t need to adjust or change the device’s location for you to have a fully purified air in the house. The sensor technology ensures the device adjusts its fans’ speeds depending on the level of air quality in your house. In addition, there is a light indicator which helps you know the overall performance of the filters and helps you decide when you should change them next. You can smoke your cigars in peace while the air purifier continues to do its job. 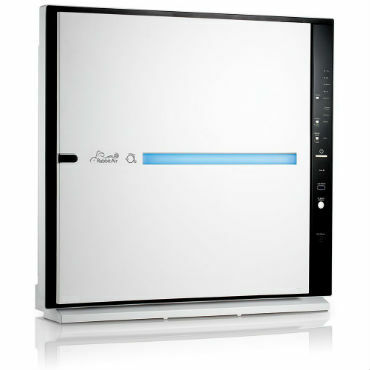 It is very silent at all its speed settings, which is after all what every customer want in an air purifier. However, some reviewers do note that the high fan speed setting does make more noise than the medium and lower fan settings. For a device certified by the Asthma and Allergy Foundation of America, AHAM, and ASL, you can expect nothing less than utmost efficiency in purifying the air in your house irrespective of what kind of pollutants are in there. 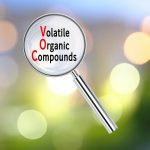 Its CADR ratings for smoke, dirt, and pollen are very impressive and could take the prevention of dust and smoke pollutants in your house to the next level. The touchscreen display helps you to adjust the fans’ speeds manually and an indicator for the carbon and HEPA filters. At least one leading air purifier website rates the Breathesmart as the best air purifier for cleaning out cigarette smoke in the world. And it is easy to realize why. Every feature, every function in this air purifier is modern and meaningful. It comes with the close to noise level people love, the smart digital screen and a true HEPA filter to ensure no dirt, pollen or smoke particle roams about in your house. Alen Breathesmart is only one of the few air purifier manufacturers that offer a money back guarantee and a limited lifetime warranty for their devices. Add that fact to the ability to customize its front panel color options with black, blue, white, graphite, espresso and rosewood colors and you will feel satisfied paying any amount for the device. On the other hand, the manufacturer does not decide the type of HEPA filter your device should run on. If you are in need of a device for smoke, you can surely go with the HEPA odor cell filter, while an allergic person can choose the HEPA silver. Still, the benefits that come with this impressive device are much more. Whisper Quiet Operation – In addition to being efficient at whatever task you buy it for, it operates super silently even on the high speed setting. This is mainly enabled by its WhisperMax technology that is designed to eliminate all forms of irritating sounds. 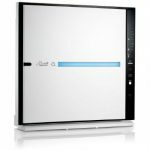 Smart Sensor Technology – The best air purifiers for smoke must have a smart sensor technology these days, and this device is no different. Its smart sensor technology helps adjust air flow automatically to ensure the fans run at the appropriate speed for the job at hand. When the smoke level reduces in your house, the fans also adjust properly so that you can save on energy bills. 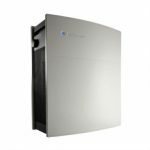 ION mode – While a true HEPA filter can help eliminate about 99% of dirt and pollen particles in your house, this device doesn’t stop there. When the level of dirt and pollen particles increases in the house, it can activate its ionization mechanism to ensure that the air in your house is purified as fast as possible. Auto Shut off for the digital display – Since its digital display is LED lighted; the device shuts it off at night so that you can sleep peacefully. 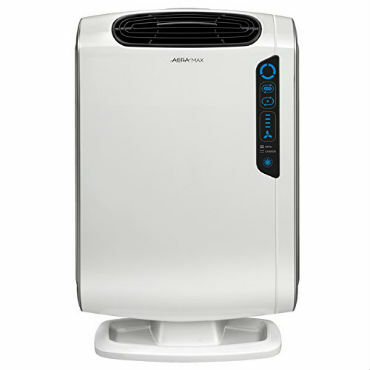 Designed for big rooms – With a HEPA odor cell filter technology and customizable features, the device can purify the air in rooms as big as 1100 square feet, all while eliminating smoke, dirt, and pollen with utmost efficiency. The device capitalizes on leading edge technology to bring out the best and clean air efficiently as much as possible. It costs a little bit over $600, which though high, is justified by every means. The smart sleek design to start with is impressive. It looks somewhat like a high edge computer monitor with its mounted and big square shape that is well graced by a digital panel at the right side. On the bright side, however, the air purifier offers much more than the good looks. Beneath the good looks are super features fitted to ensure clean air circulation in your house at all times. It has the super powerful HEPA filter any good air purifier for tobacco smoke come with, a whisper silent technology for your convenience and a certification from the Asthma and Allergy Foundation of America. That said, you can be guaranteed of an air purifying performance that equals or exceeds 99.97% especially in eliminating dust, smoke, and pollen. 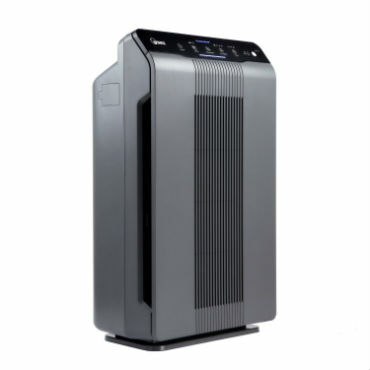 An air purifier with a true HEPA filter is ten times better than one without. With the Rabbit SPA-780A f however, the filter works in conjunction with an activated carbon filter for efficiency in eliminating odor and smoke, and a washable pre-filter to help trap large dirt and pollen particles before the air gets into the HEPA filter. Actually, this air purifier has a six stage filtration system that starts at the prefilter stage to the customizable filters that let you decide what types of pollen or particles you want the device to clean out the most. Some of its filters include the Germ defense filter which is best suited for eliminating germs and less odor, the Pet allergy filter, the toxin absorber and an odor remover filter which Is the best solution for someone seeking to curb cigarette or cigar smoke in their house. Note however that you will have to change the activated carbon filter and the HEPA filters at least once in a year, depending on how much often you run your air purifier. The six stage filtration system is a no-brainer when it comes to securing the air quality of your house. This device is best suited for house measuring around 815 square feet and comes with a five-year warranty to assure you of its durability. For people with allergies and asthmatic conditions, the Blueair HEPA silent air purifier is a device you can bet your cash on. Its patented filter mechanism is powerful enough to eliminate all forms dirt, pollen and smoke particles in a room averaging 370 square feet. Its desktop design makes sure you have no trouble placing it anywhere in your house, while the HEPA Silent technology takes care of virtually 99.97% of unwanted particles roaming around in your house. True HEPA technology – Blueair devices are known for combining HEPA capabilities with an electrostatic mechanism for complete and advanced air purification. This particular device is especially great at eliminating smoke particles as small as 0.1 microns. Whisper Quiet Operation – The 403 device operates on very low noise levels, sometimes lower than that of a normal conversation. Actually, you almost can’t hear any noise from the device at the lowest speed setting, which is the ideal level at night. Super Surround air technology – The device has a special technology that draws in air from all corners of your house and forces it to diffuse through its filters up to six times faster than average air purifiers would. It also comes with an energy star, which should assure you of low energy bills in your house. A super-efficient Smoke Stop Filter – Cigarette and cigar smokers will love this feature. With approximately 2lbs. 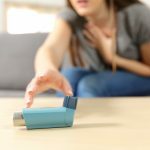 of activated carbon, copper oxide and a blend of magnesium oxide, any smoke, odor or unwanted gases are effectively eliminated before the air gets back into your house. In addition, the air purifier is coated with a special powder that can’t off gas. Ease of use and Maintenance – Every Blueair device’s filters are made of polypropylene material that is resistant to mold and bacteria. With that in mind, cleaning this device is as simple as passing a wet wipe gently over it, and maybe a six-monthly replacement of the carbon and HEPA filters. Zero Ozone Emission – Though it comes with an internal ionizer for better air purification, it produces zero amounts of Ozone. It is CARB certified and has customizable filters for either odor smoke stop or HEPA silent. Its CADR for smoke, dirt, and pollen all measures 240, and a rate of 5 changes of air per minute. This is a widely talked about portable air purifier. Its design is incredible, but what is even more impressive about it, is the efficiency rate at which it eliminates smoke and bacteria in your house. For an average 350 square feet room, its three-stage filtration system will aptly eliminate all forms of gases, smoke, and dirt in your house. If you also love a device that requires little maintenance, quiet and good at saving energy bills, this is the device for you. Winix 5300 starts eliminating cigarette smoke odors straight from its first carbon pre-filter which actually has enough activated carbon to eliminate a great amount of odor in the house. At the second stage, air is drawn into the HEPA filter, and smoke or dirt particles sized 0.3 microns or above are eliminated. Pet dander and many types of spores are also eliminated at the HEPA filter stage. The final cleaning stage involves a Plasma Wave technology whose charged ions capture and instantly neutralizes bacteria, viruses and chemical vapors in the air. Besides being impressively designed and light in weight, this Winix device also has some smart features like an air quality sensor that enables the fans to self-adjust, an auto mode that is set at the lowest fan speed for better energy conservation and a sleep mode function. Note however that with the air quality sensor, the device increases its performance as soon as it senses an increase in the level of dirt or smoke pollutants in the room. In addition, this air purifier has the filter indicator that all the bigwig air counterparts brag about, which means that you never have to do physical checkups for the HEPA filter. All the same, an average HEPA filter serves for about one year before replacement. 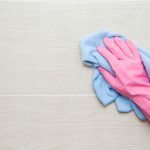 If you are able to replace the carbon filter at least after every three months, vacuum clean the HEPA filter regularly and wipe the device from time to time, it could last for quite a number of years. On the other hand, the device has a CADR rating of 235 for tobacco, 248 for dust and 251 for pollen, which means that all the heavy smokers out there can place this device in the 400 square feet bedroom and never affect anyone with the smell of cigarette smoke. Cigarette and cigar smokers know how inconvenient it is to live with a non-smoker in the same house. Some apartments, on the other hand, prohibit smoking while outside, which leaves many people with the option of buying the first air purifier they see. However, you are here now. In the next few minutes, we shall look at three of the most important features a good air purifier for tobacco smoke should have; an activated carbon filter, a true HEPA filter and the CADR rating for cleaning a specific sized room. HEPA Filter- A lot is often said about the efficiency of HEPA filters, but most people don’t know that HEPA filters are differently designed to accomplish different results. There are HEPA filters whose main function is to eliminate germs and bacteria, others are majorly meant to eliminate dirt and pet orders, and then there are smoke HEPA filters. 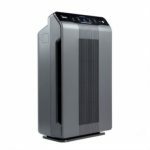 If you are truly in need of a smoke air purifier, go for one whose HEPA filter is majorly designed to eliminate smoke. Activated Carbon- Carbon is a porous material that attaches itself to any particles around. It is the best line of defense when it comes to fighting tobacco smoke in your house. When buying an air purifier, therefore, check out and ensure that there is at least one filter with activated carbon. CADR and Square Footage– CADR is short for Clean Air Delivery Rate. A good air purifier for cigarette smoke should have a high CADR rating for the size of the room you plan to place it in. Most air purifiers also have a CADR rating for dirt and pollen as well, but your main concern as a smoker is to buy a device that can efficiently clean out smoke in your 300 square feet bedroom or even 1200 square foot sitting room. Smoking has adverse effects on the smoker, the people around him and the environment as well. There is also no good way to smoke, which is why every smoker suffers the negative implications of their addiction. To start with, burnt tobacco has around 7,000 poisonous chemicals as the American Lung Association notes. At least 50 of the said chemicals can cause cancer; be it throat, lips or lung cancer. On the other hand, tobacco contains an addictive mood changing substance known as Nicotine. It is this substance that also increases your risk of eye problems, cataracts and a sense of smell. Since it is also addictive, lack of tobacco in your body will often make a smoker feel depressed, experience headaches and general body anxiety. Once tobacco is in your lungs, whether you are an active smoker or a passive smoker, its particles block your lungs’ air sacks, a condition that could increase your risk of acquiring a lung infection, flu or even lung cancer. Also note children whose parents are smokers have a higher risk of acquiring pneumonia, asthma attacks, and have a higher rate of getting bronchitis. Needless to say, the mortality rate of a regular smoker is three times higher than that of a nonsmoker. How Will a Smoker Benefit From an Air Purifier? Whether you intend to quit smoking or not, a good air purifier for smoke is a great device to help keep your house smelling fresh and free of any odors or dirt particles. Many air purifiers are after all more efficient at eliminating other pollutants besides smoke, which is still a good deal for anyone. However, a smoker who owns an air purifier protects her family from the harmful effects of tobacco smoke. Children are especially vulnerable to the tobacco smoke and smell. In fact, as we had earlier stated, your child is more likely to get an asthmatic attack if you happen to smoke, and you definitely would not want that to happen. If you own a home office, or you also don’t enjoy the smell of cigarettes and cigars, an air purifier will help you eliminate all that. 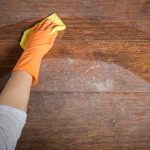 Besides, the small tobacco smoke particles often end up on your walls, chairs, and tables, which could have an effect on the overall aesthetic of your house. Sometimes having an air purifier in your house could also save your relationship, because well, not everyone loves the smell of tobacco smoke. Lack of information is the main reason why most people end up buying the wrong product. However, now that you know what to look out for when buying an air purifier for cigarettes and cigars, you have a sample of the best smoke air purifier and you certainly know your budget, there is no way you can buy a device that won’t serve your needs. So, if you love smoking indoors and you hate seeing your family suffer because of your smoking habit, just buy one of the air purifiers we reviewed above, and you will never regret your decision.